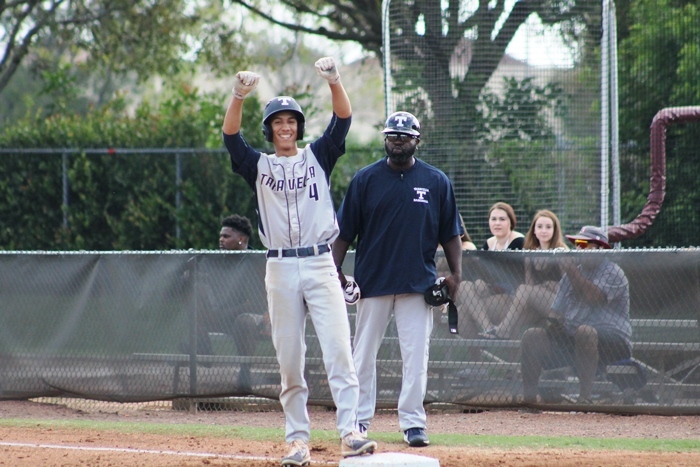 The Taravella Trojans had a new manager in Joe Giummule coming into this season, and were riding a wave of momentum after a 17-10 campaign last year. 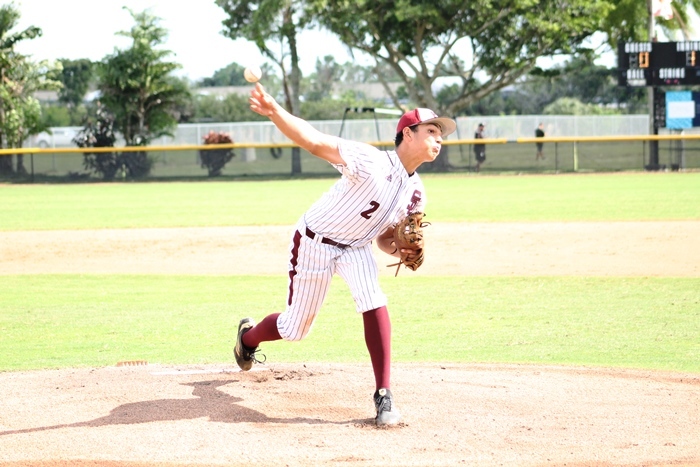 They were a popular pick to be the team that dethrones Douglas, who has won six straight district titles. Only problem on Tuesday was, the Eagles were still the Eagles. And no hype, or new manager was going to change the fact that Douglas is loaded again, and still the team to beat in 9A-11. After falling behind 2-0 early on, Douglas stormed back, scoring the next five runs, and then cruising to a 5-3 victory at home. The win moves Douglas to 7-2, with a perfect 3-0 district record. Early on, it looked as though Taravella may do just that. With Schiltz cruising through the first inning, the Trojans jumped on the board in the second. Ryan Alba was hit by a pitch to lead off the inning, and after a strikeout, Tony Sanders walked. A groundout put runners on first and third, and a Roberto Tonche single game Taravella a 1-0 lead. They added a run in the third on a Seth Braziel base hit. Braziel was a bright spot for the Trojans offense, going 2-for-3, with a run and two RBIs. Despite the early deficit, the Eagles did not panic. After all, they had just come out of a tournament up north where they came back from a 4-0 deficit against defending state champion Venice. And come around they did. With Cosi Scinta shutting down the high powered Eagles offense in the first two innings, Douglas bats came alive in the third. Consecutive walks to Carter Brady and Jhan Ledezma set the table for the top of the Eagles order. After a strikeout, Andrew Jenner singled home Brady. 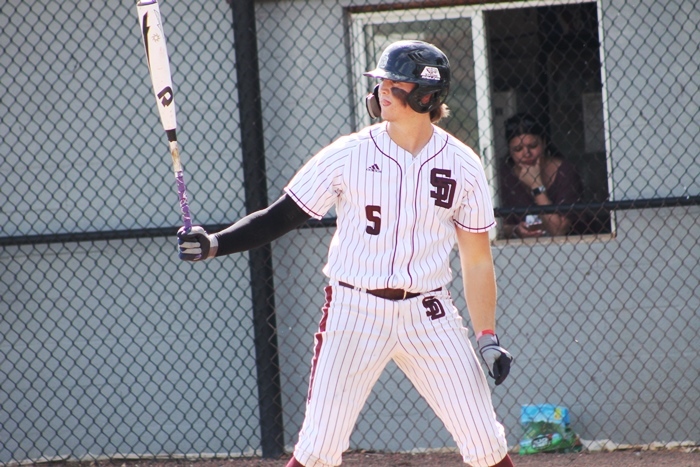 Hunter Fitz-Gerald followed with a two-RBI single of his own, and suddenly the Eagles had a 3-2 lead. Douglas added a run in the fourthy, and then Fitz-Gerald launched a solo home run in the fifth, to extend the lead to 5-2. The younger Fitz-Gerald, finished the day 2-for-4, with three RBis. The performance was not lost on the elder Fitz-Gerald. As for the younger Fitz, he knew it was a matter of time before the Eagles got to Scinta. With Giummule taking over the Trojans at a school that is less than ten minutes from his house, and Fitz-Gerald already having Douglas established the Eagles as a national power, this figures to be the first of many battles between the two programs moving forward. And even though the rivalry is deep, at least as far as the coaches go, the respect is mutual. For Giummule, he also understood what he was up against when he took the Taravella job. One immediate game that will count for Douglas, is tomorrow, when they not only face a district opponent in Monarch, but Fitz-Gerald is going for the 400th win of his coaching career.